Undoubtedly, the Runnin’ ‘Dog basketball team would’ve liked to have closed out their 2018-19 regular-season campaign with a win Friday in Clovis. But although the boys in orange didn’t put their best foot forward in a 68-46 loss at The Rock, they ended the gamut that has been Dec. 6 through the present with another learning experience against another quality Class 5A squad. And along with everything else their 10-10 regular season has taught them, it all gets filed away in preparation for the start of District 4-AAAA play. “We came out real flat last night,” head coach Michael Mondragon said Saturday. “I don’t think we came out with enough energy in the first quarter. There were a couple of times we executed well and got some open looks, but we just didn’t make the shots, and any time you’re playing a really good team on the road, you have to make those shots. Whereas the Wildcats were scoring in bursts in the early goings of Friday’s contest, the Bulldogs’ offense was sparser, thrown off by a few untimely turnovers and missed shots. A layup and a three from Cody Smith and an Anthony Armendariz shot under the basket comprised the ‘Dogs’ scoring through the opening four minutes of play, and Clovis would end the period on a 13-0 run that put Artesia in a hefty hole right off the bat, 21-7. Smith delivered an and-one to kick off the second, and a layup and two from the free-throw line by Kale Mauritsen and shot off the glass from Armendariz saw Artesia back within single digits, 25-16, midway through. Another run by the ‘Cats, however – this time consisting of nine unanswered points – gave Clovis another boost, and although the Bulldogs finished out the half with a 7-6 showing, the deficit was still daunting at the break, 40-23. Artesia’s offense got off to a solid start in the third, with six points from Armendariz and a Smith fast-break layup bringing the ‘Dogs back within 13, 44-31, but again it would sputter down the stretch, allowing Clovis to stretch it back to 21 going into the fourth, 55-34. Armendariz delivered a pair of buckets and Mauritsen two from the stripe early in that quarter, but the Wildcats went 9-2 from there, and late buckets from Jacob Creighton and Johntae Rodriguez could only round out the final, 68-46. Armendariz led all scorers on the night with 20 points, followed by Smith with 11 for the ‘Dogs, while Clovis’ Bryce Cabeldue and Anthony Guiterrez notched 11 apiece to lead the 10 Wildcats that got in the book. 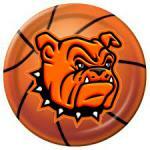 The Bulldogs are now in the midst of a much-needed 10-day layoff prior to the start of district play at 7 p.m. Tuesday, Feb. 5, in Lovington. “I’m really excited for these next 10 days,” said Mondragon. “Number one, it allows us to get healthy, number two, it really allows us to get back to the fundamentals, and number three, it gives us a chance to start focusing on our district teams, making sure we have the right game plans in place to go out and be successful. Mondragon says the Bulldogs will use the time off to fine tune the little things that have plagued them at times this season in order to ensure they’re ready to deliver crisp execution in the second season. “You can’t ever forget the fundamentals,” said the coach. “We have to make sure we get back to taking care of the ball, executing on offense, and making sure we’re rebounding and guarding. At times, we look really good defensively, and at other times, we don’t look so good, so that’s something we need to get better at. 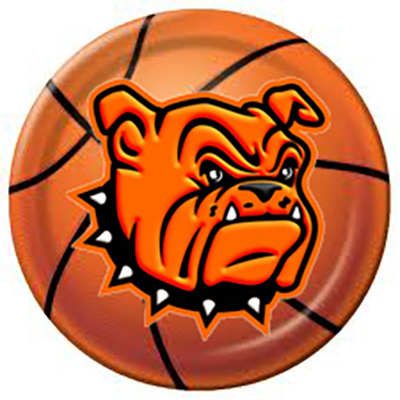 Mondragon also encourages Artesia fans to turn out in force throughout district play to help cheer the Bulldogs and Lady Bulldogs on in defensive of their D4 titles. “We want to thank all the fans for the support so far,” said the coach. “It’s been a great pre-district season, but now is when it counts. We’re 0-0, everything goes out the window, and it all starts Feb. 5 in Lovington, so we really want to encourage the community of Artesia to get behind both our boys and our girls.